When booking, the client confirms that is familiar with the General Terms and that he accepts them in their entirety. When booking, the client is required to pay deposit and booking fee, while the balance is due directly to the owner of the apartment or villa upon arrival. The price of accommodation is in EUR. 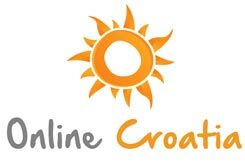 To clients who have paid deposit for their reservation, Online Croatia guarantees the price of accommodation. If more clients, than are stated on the voucher, arrive at the accommodation unit, the host has the right to deny the extra clients accommodation or to accommodate all of the clients at extra charge directly made to the host. Online Croatia reserves the right to change or modify a reservation in case of circumstances caused by conditions beyond its control that cannot be predicted, avoided or rectified. Booked accommodation can be substituted only by an accommodation unit of the same or higher category and at the price confirmed during booking, provided that client is notified ahead of time. 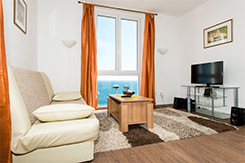 In cases where substitute accommodation for paid accommodation is not available or client does not except it, Online Croatia guarantees the refund of the complete paid amount. Client has the right to deposit refund in case he or she has to cancel the travel due to unexpected circumstances up to 3 days before travel and if Agency confirms unexpected circumstances. 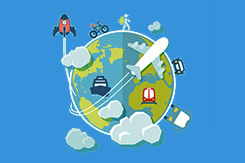 The travel must be cancelled in writing to the Agency no later than three days before the arrival date stated in the voucher.For the purpose of determining the unexpected circumstances, the Agency shall request the renter to provide documented evidence in order to be able to refund them. In case of incomplete documentation or documentation not evidencing any of the above circumstances considered to be unexpected by the Agency, the Agency is entitled to refuse a refund. CIRCUMSTANCES FOR WHICH THE AGENCY DOES NOT RETURN THE DEPOSIT: mistake when choosing travel, reluctance to travel, events that occurred prior to the payment of deposit or which could be predicted, planned, anticipated or postponed surgeries, medical treatments or interventions, war, military operations or actions similar to war, terrorism, epidemics and pandemics, natural disasters, acts of God, prohibition or government decision, nuclear events etc. In the event of a cancellation caused by other circumstances, cancellation made in period after three days before travel or failure to appear the Agency retain the paid amount and refunds cannot be claimed. The client needs to stop the use of accommodation unit before the departure data indicated in voucher (the host is not obligated to refund for the days he/she will not use accommodation unit). If the client does not come in accommodation unit until 12 p.m. on arrival date, the host is not obligated to hold accommodation unit for client anymore. If more clients than are stated on the voucher arrive at the accommodation unit, the host has the right to deny the extra clients accommodation or to accommodate all of the clients at extra charge directly made to the host. It is agency's obligation to take care of provided services, hosts, and clients’ interests and rights according to accepted customs and practices in tourism. To pay balance directly to the host in cash first day of arrival. Should the client not follow the above listed obligations, the client is liable for caused damage and must cover the expenses. By confirming the reservation, the client accepts to pay for all damages caused directly to the host. If the customer does not obey house rules in accommodation unit (especially disturbing other clients or neighbours after 11 p.m.) the host has the right to stop the rent without obligation of any money refund to the client. 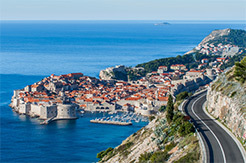 style="margin-bottom: 12.0pt;">The Client and the Agency will aim to settle possible law suits in the application of this Agreement and if an agreement cannot be reached the issue will become subject to the decision of the Dubrovnik Court jurisdiction, under the authority of the laws of Croatia. Note: all bookings contracted until 31.12.2014 are subject to general conditions stated on the voucher and contracted with clients.